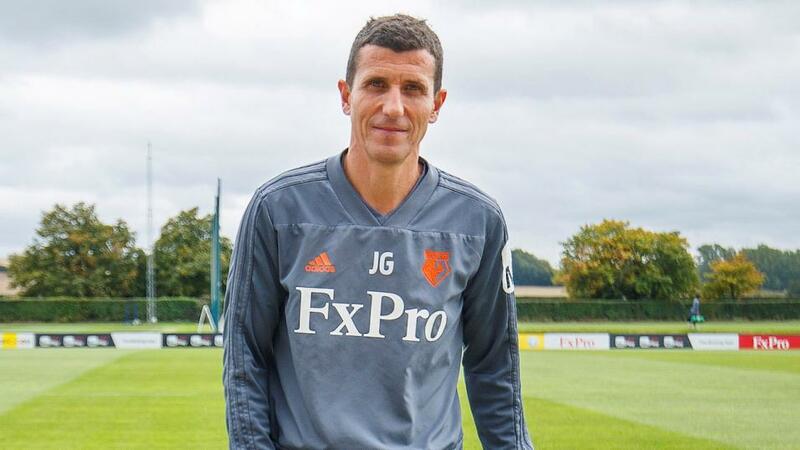 Will Javi Gracia inspire Watford when they host Arsenal? Can Watford continue their fine home form when they take on Arsenal? Opta reveals all. "Watford are unbeaten in their last five Premier League home games, winning the last three in a row (D2). They last won four in a row at Vicarage Road within the same top-flight season back in December 1986." Watford are [2.34] Draw No Bet. Watford have lost four of their previous five home games against Arsenal in the Premier League. Arsenal are [2.36] to win. Arsenal have not lost back-to-back away league games at Watford since a run of three straight defeats ending in November 1987. A Watford win is [3.2]. None of the 11 previous Premier League meetings between Watford and Arsenal have ended in a draw (nine wins for Arsenal, two for Watford); only four fixtures in the competition have been played more often without ever sharing the spoils (Manchester United v Wigan (16), Aston Villa v Derby (14), Derby v Leicester (12) and Manchester United v Watford (12)). The odds of this run being extended with a win for either side in the Double Chance market, are [1.35]. Watford have only won two of their 15 Premier League games when playing on a Monday (D5 L8); a 4-2 win over Portsmouth in April 2007 and a 4-1 victory against Chelsea in February 2018. The draw is [3.7]. Arsenal have won seven of their last eight Premier League games on a Monday, losing only against Crystal Palace in April 2017 in that run. They are [1.71] in the Draw No Bet market. Watford are unbeaten in their last five Premier League home games, winning the last three in a row (D2). They last won four in a row at Vicarage Road within the same top-flight season back in December 1986. Watford are [2.34] Draw No Bet. Arsenal are yet to keep a clean sheet away from home in the Premier League this season (15 games). They last had a longer run without a clean sheet on the road in the top-flight between April 1984-February 1985 (16 games). Both teams to score is [1.55]. Just one of Arsenal's five Premier League away wins this season has come against a side starting the day higher than 16th place in the table, with the Gunners beating 8th placed Bournemouth 2-1 in November. Watford are [1.74] in the Double Chance market. Watford's Troy Deeney has scored nine Premier League goals this season, only netting more in the 2015-16 (13) and 2016-17 (10) campaigns. He could become just the third player to score 10+ goals in three different top-flight seasons for the Hornets after Luther Blissett (3) and John Barnes (4). Deeney is [3.1] to score. Pierre-Emerick Aubameyang is Arsenal's highest Premier League goalscorer this season with 17 goals. However, he's not netted in any of his last five away from home since a goal at Brighton on Boxing Day. Aubameyang is [2.2] to find the net.